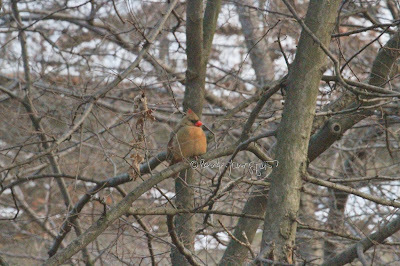 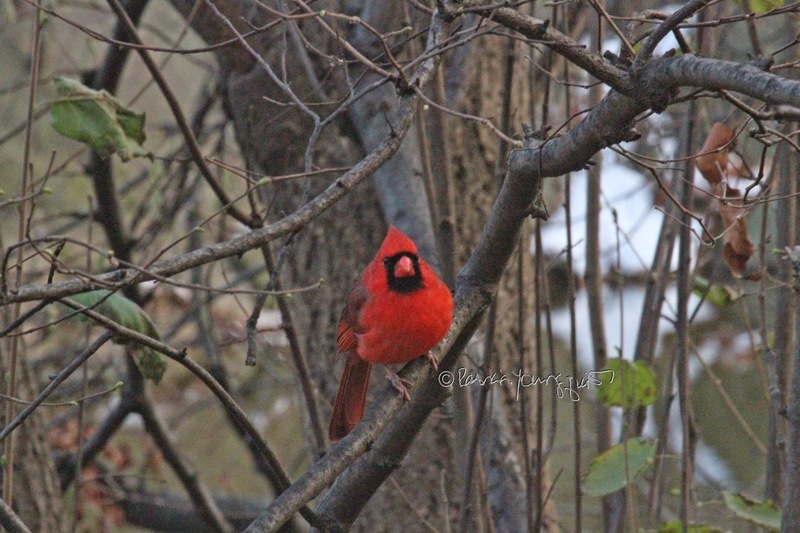 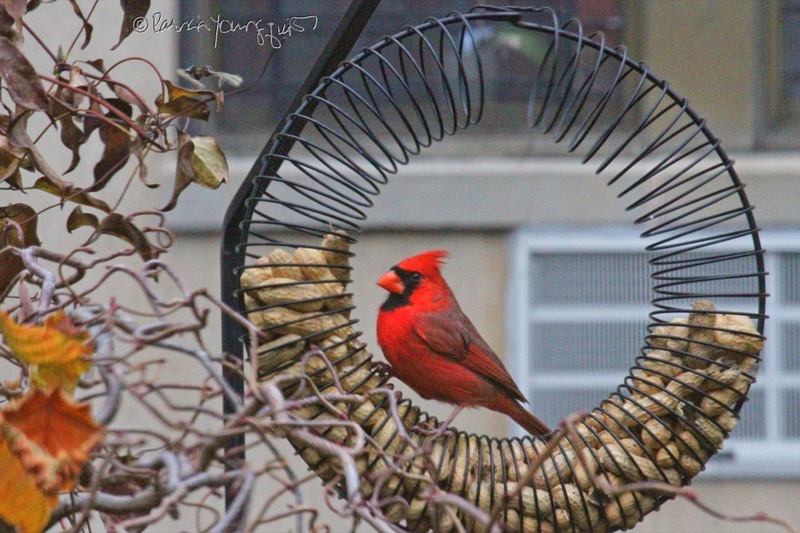 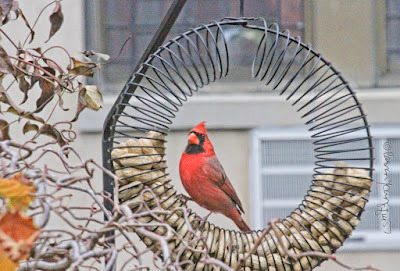 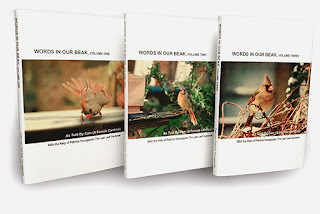 The first photograph atop today's blog entry features a male cardinal that I came upon when I took a walk in nearby Central Park the other day. 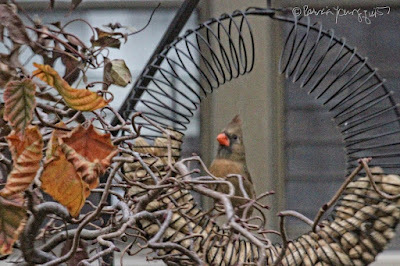 This image may look to familiar to those of you who follow the Facebook Page for The Last Leaf Gardener, as I featured this picture (along with other shots of the male cardinal) in Monday's FB entry. 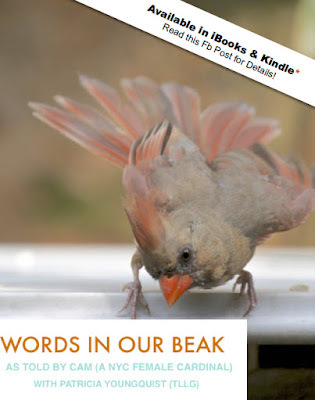 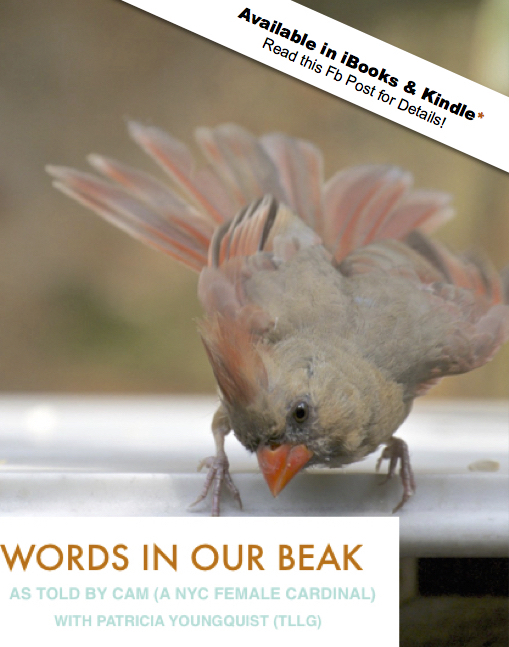 In the aforementioned post, I also included a poem by Mary Oliver with an interesting meditation (written by LoraKim Joyner), and if you'd like to refer to that entry, please click here. 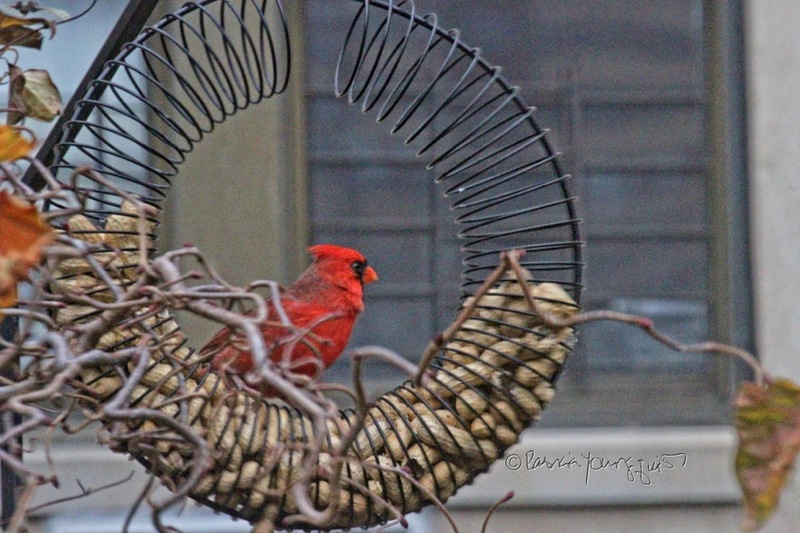 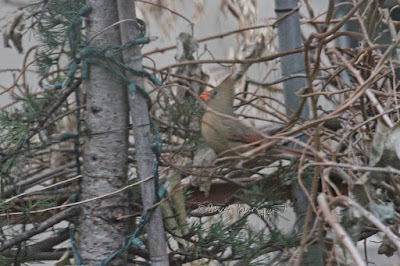 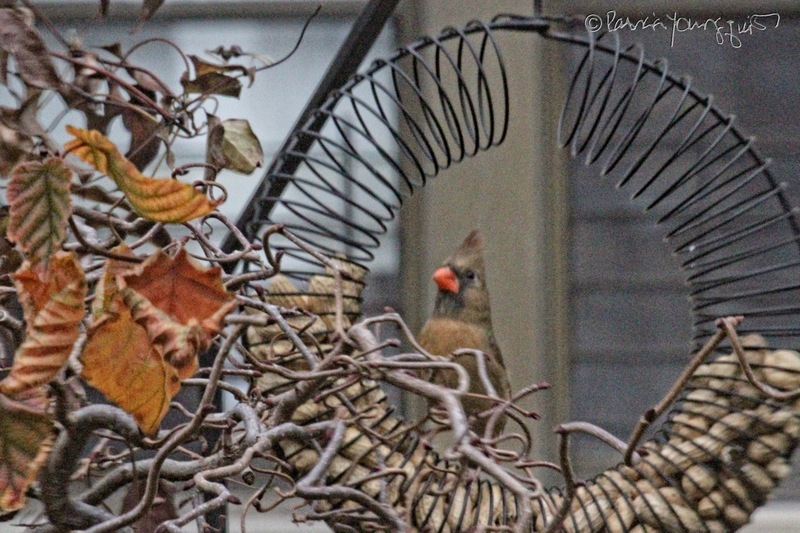 Meanwhile, the second picture atop this entry features a female cardinal that I also saw on that same day. 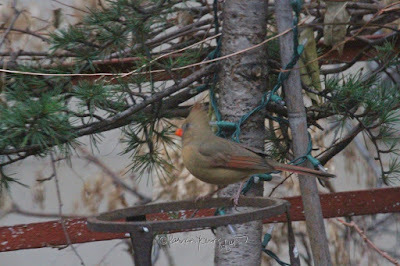 She is featured in Tuesday's FB entry, which you may refer to by clicking here. In any event, yesterday I had planned to return to Central Park in the hopes of seeing cardinals again, but the weather conditions were not good for a camera. However, as fate would have it, I didn't have to go to the park to see this bird type, because both the male and female cardinal paid a visit to my rooftop garden. 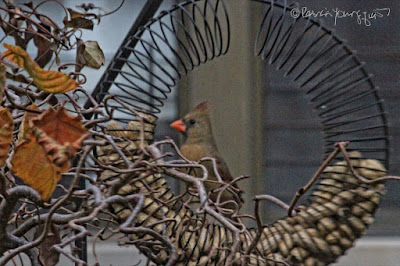 Be that as it may, whomever this past Tuesday's visiting female cardinal happened to be, she certainly brightened up my landscape with her brillantly-colored beak, as evidenced in the following images. However, it was her motive in visiting here did not seem to be rooted in adding color to my now-dull urban garden, rather, she was motivated to visit in order to grab some nourishment from one of my bird feeders, which you may surmise upon seeing the next set of photographs featuring her taking advantage of my wreath-style feeder. 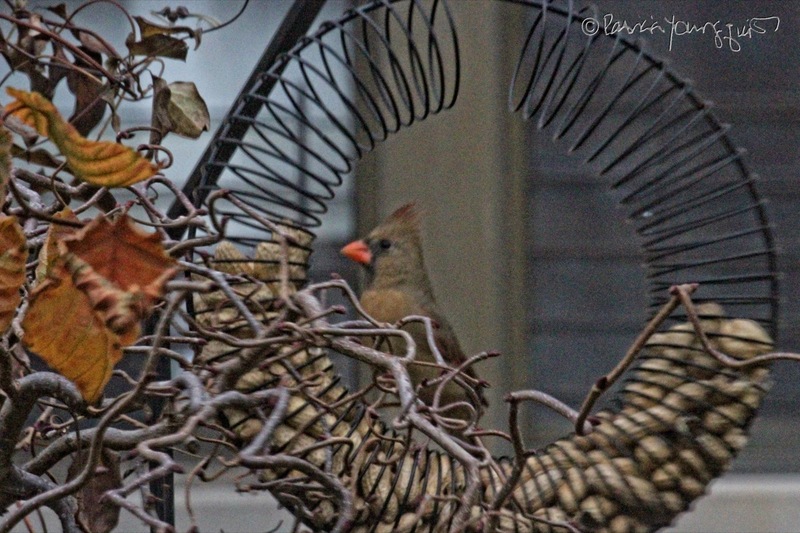 Word gets around fast within the avian community when it comes to the availability of food, for she wasn't here very long, when the male cardinal stopped by to indulge in some snacks as seen below. 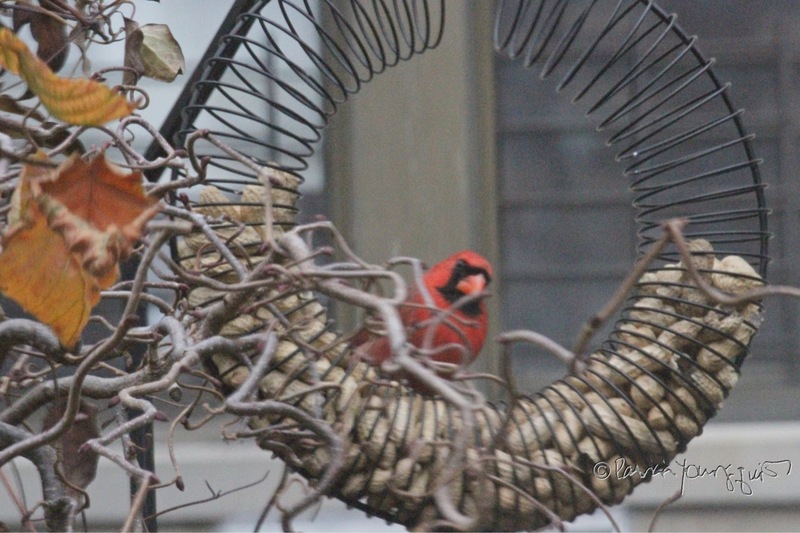 "The red cardinal is shrouded by traditions and myths of all kind. 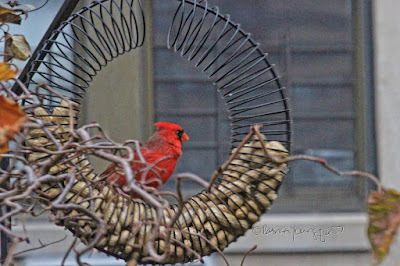 Many of these revolve around good health, renewal and happy, healthy relationships just to name but a few. 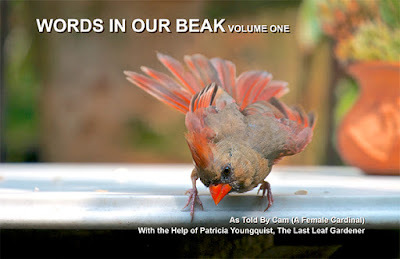 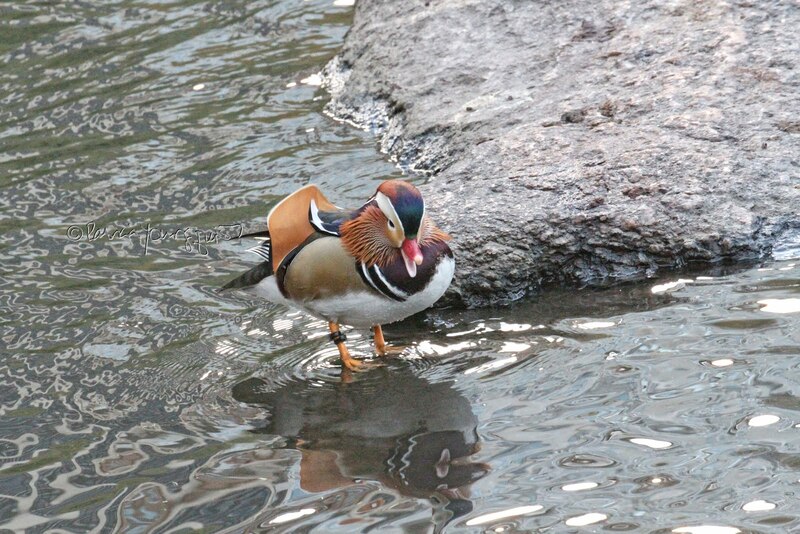 Digging deep into the life of these magical birds perhaps can reveal why so many good things are attributed to them. A sighting should bring peace and hope to you since you can be assured that your message has been heard. 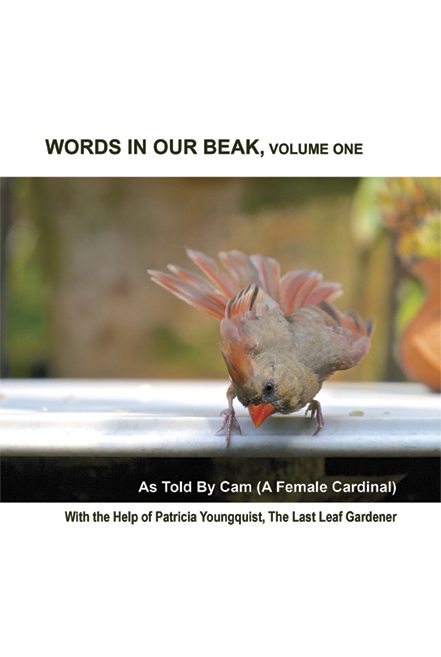 When you see a cardinal, you should always remember that the spirits are protecting you and don’t forget to thank the winged creatures." 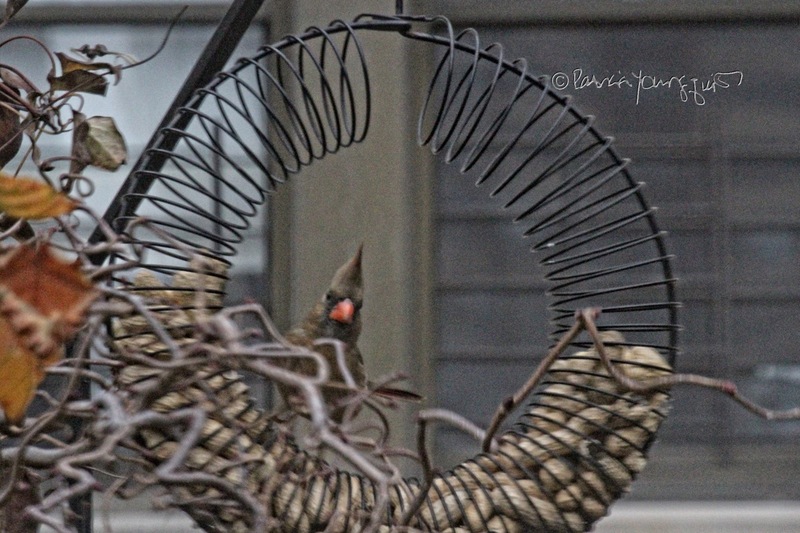 I'm a bit skeptical when it comes to interpretations like this, but I do feel honored, for whatever the reason, when cardinals (both male and female) take their time to visit me.